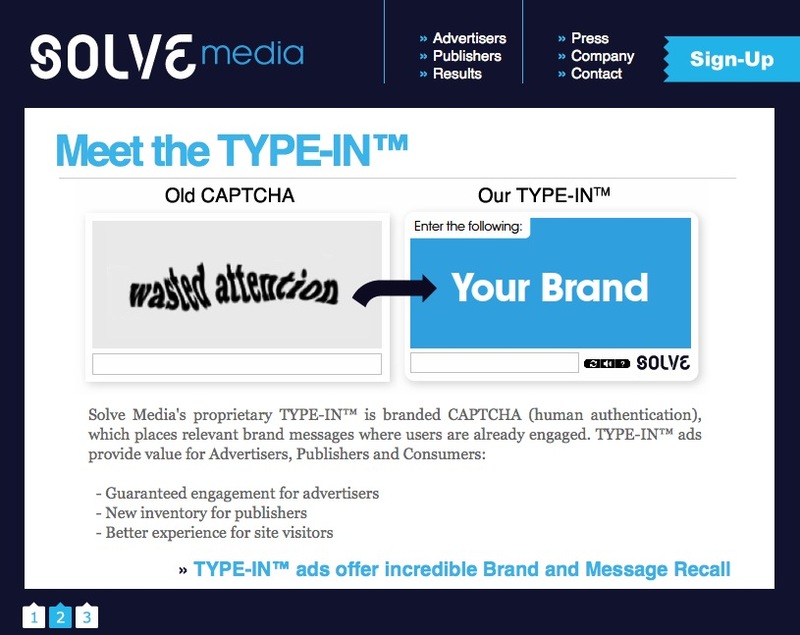 I was roaming about the internet the other day when I came across a captcha that had a company slogan instead of the typical distorted text. I thought it was a pretty interesting concept and made my way over to Solve Media to check it out. 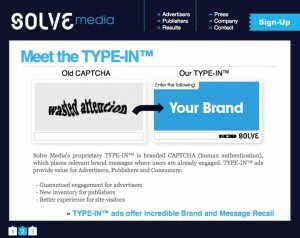 According to their intro video adding your branding to a captcha is much more engaging and results in a greater rate or retention for the user than traditional banner ads. They also said that typing in slogans is faster for users than trying to type in that mushed up text that traditionally appears in captchas. Sounds reasonable enough to me, but regardless I thought it was a really interesting concept to add in more advertising without adding more clutter. A simple way to gain some syndication for your online articles is to submit them to websites that will post it on their sites. Just make sure to brand the article and add a link back to your website. You can get some free exposure for your Twitter account by submitting it to Twitter Directories! It certainly won’t make a big impact on your followers, but it only takes a few minutes to get set-up.